Child Performance Licensing - how will it affect your band? Child Performance Licensing is a legislation introduced to regulate performances by children under the age of 16. Its intention is to protect children from commercial exploitation and from inappropriate working hours to the detriment of their education, especially those who perform or appear on stage or in TV shows. This legislation was originally passed in 1963, but has only recently started being enforced after new regulations were introduced in 2014. It is also worth remembering that this is UK-wide legislation and applies equally in England, Scotland, Wales and Northern Ireland. The responsibility for the licence falls to event organisers, but to perform knowing a License is not in place also then passes responsibility to performing organisations. Child Performance Licenses need to be issued by the local authority in which each child lives, which means that many bands, especially those near an authority border, may need to make applications to more than one council. There is one exception to this - a Body of Persons Approved (BOPA), which can be issued by the local authority in which a performance takes place. These can be useful to bands that may be able to use one to cover most of their activities that take place within your home local authority, as well as covering multiple young people. It can also be useful to event organisers as they can cover children from multiple local authorities with one document and one process. Whilst there are some exceptions to the License requirements, when a performance takes place in a venue licensed to sell alcohol, all exemptions are void. This means that because any contests taking place in venues that have licenses, all children under the age of 16 who take part will need to be covered by either a license (applied for individually per child) or by a BOPA (collective cover). 1. You will need enough licensed chaperones to supervise the young people in your band. As a minimum this is either a parent (note not a grandparent) per child or one licensed chaperone per 12 young people (this ratio is lower for younger players). It is also important to know that chaperones cannot have other roles whilst they are acting as chaperones. For some local authorities this means the chaperone cannot be playing with the band. In addition, you may find that your local authority may lower the need for licensed chaperones and you simply need adults with DBS checks. 2. You will need to collect parental consent and emergency information. This may need to be given to the local authority directly or you may simply need to sign a declaration that the data has been collected and will be held by you on the day of the performance. This data will also need to be collected in a way that complies with GDPR legislation. 3. You may need to allow local authority inspectors to inspect your activities and check your documents. 4. You will require a Child Protection Policy. 5. Photographic consent will be required from parents when it is expected that there will be photographers present (almost all band events today). 6. A risk assessment of the performance venue will need to be carried out. 7. You must ensure that children are supervised the whole time they are with you. What do I need to do for my ‘Regional’ contest? No uniform process has yet been agreed by the organisers of the National Brass Band Championships, so the requirements will vary from region-to-region. Below we outline if your ‘Regional’ contest has yet applied for a BOPA, or if you are required to make applications for child licenses individually. London and Southern Counties (includes Channel Islands): The London and Southern Counties Area Committee has indicated that, at the moment, there is no provision in place for Child Performance Licensing. This means that all bands will need to apply for a Child Performance License from each child's local authority or request a BOPA from Stevenage Borough Council directly. Midlands: The Midlands Area Committee has indicated that, at the moment, there is no provision in place for Child Performance Licensing. This means that all bands will need to apply for a Child Performance License from each child's local authority or request a BOPA from Warwickshire Council directly. North of England: No decision has yet been made, but BBE is in communication with the Area committee and will communicate a decision when it is reached. At the moment this means that all bands will need to apply for a Child Performance License from each child's local authority or request a BOPA from Durham County Council directly. North West (includes Northern Ireland): The North West Region has secured a BOPA from the local authority in Blackpool. This means that the Regional Committee has ensured most of the compliance on the bands’ behalf. Competing bands have been sent a group participation form that they need to complete (including nil returns) and return to the Contest Secretary by 16 February to coincide with the last date of registration with Brass Band Players. The committee will then return the forms to the licensing officer at Blackpool Council directly. Bands will also need to carry a register with the names of the children and supervising adults. The Council has agreed that bands don’t need registered chaperones this year (although these may be required for next year). Bands should still have their own safeguarding policy, but Blackpool Council has already received the NWABBA policy and risk assessment. Scotland: The Scottish Brass Band Association have advised that bands should make their own provision for Child Performance Licensing for the Scottish Championships and a BOPA has not been applied for. This means that all bands will need to apply for a Child Performance License from each child's local authority or request a BOPA from Perth and Kinross Council directly. Wales: The Welsh Regional Committee has indicated that it is leaving responsibility for compliance with the bands. This means that all bands will need to apply for a Child Performance License from each child's local authority or request a BOPA from Wrexham Borough Council directly. 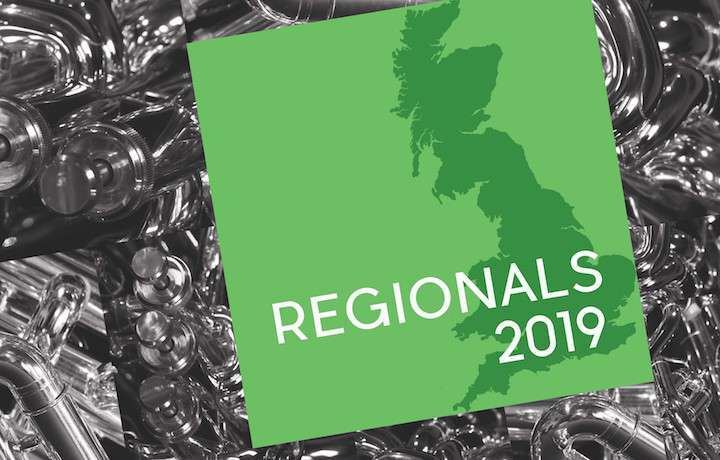 West of England: The West of England Regional Committee has advised bands that they are required to ensure they comply and a BOPA has not been applied for. This means that all bands will need to apply for a Child Performance License from each child's local authority or request a BOPA from Torbay Council directly. Yorkshire: The Yorkshire Regional Committee has indicated that at the moment there is no provision in place for Child Performance Licensing. This means that all bands will need to apply for a Child Performance License from each child's local authority or request a BOPA from Kirklees Council directly. Failure to comply with child licensing regulations could result in a fine, imprisonment or even both! That said, to date, no amateur organisation has had either of these actions taken against it, but there have been cases where children have been prevented from taking part in a performance because of failure to comply in time, including at last year’s inaugural Youth Brass in Concert. If, by chance, the contest was to be inspected on the day, this could result in players in your band not being allowed on stage. What happens after the Regionals? Unfortunately, the way the legislation has been worded has resulted in it being applied to all children and young people taking part in leisure activities such as music, affecting everything from taking part in local music education hub activities, through to their local brass band. Local authorities, quite rightly, take their role in child protection very seriously, but at a time when their funding has been significantly cut back, councils are understaffed and struggling to manage requests for Child Performance Licenses. This understaffing sees councils passing as much of the administrative burden of the licensing requirements as possible onto the organisations that need them. Where once they were able understand the activities of bands and use their discretionary powers granted to them, they are now becoming increasingly strict in enforcing the regulations. The result of this can be quite a lot of extra work for voluntary groups like brass bands and, in cases where last-minute changes are needed or legitimate mistakes made, our young people are actually denied the musical opportunities we provide them. The main issue is that brass bands are covered by the legislation. Amateur sport is explicitly exempt from the requirements, even though it could be argued many sports pose greater risks to children when changing or appearing in public. Beyond this, the biggest issue is that the means to comply is different for each local authorities, of which there are over 300 in England alone. This means that, for example, one local authority might require bands to use licensed chaperones but another may decide that adults with a DBS check would be sufficient for supervising the young people. This makes it difficult if a band has children in multiple local authorities or if the event has many participants from multiple different local authorities. There are other problems in the legislation that include sometimes ill-considered policies, such as one council that stated in a recent meeting that a mother could not act as the chaperone for her own daughter (even if sitting playing next to her in the band! ), the reason given being that she was not acting ‘solely as a chaperone’ in that situation. We believe that this application process does not actually meet its aim of making children safer as it both distracts from organisers actually focusing on making bands safe but could also create so much additional work for parents that it makes organisations who are non-compliant seem more attractive. BBE can support member bands in becoming compliant with the legislation, whether that’s on the phone with advice through to supporting you in meetings with your local authority where it becomes necessary. We also have advice available to our members in the member's resources area of our website. To access this go to https://www.bbe.org.uk/user/register to create an account and then request to join your band. Your band manager will then approve you to access the website. In addition, members can get DBS checks for free. BBE also offer the free self-assessment tool BandSafe to help you develop your own relevant safeguarding policy; this is available to non-members as well as current members. More information on BandSafe can be found at: www.bbe.org.uk/what-we-do/bandsafe. BandSafe was developed along with the NSPCC to help bands create the safe space that children need to thrive. Finally, BBE is about to launch a new safeguarding course developed with the NSPCC. The first event will be held on Sunday 28 April 2019 (9:00am) at The Hawth, Crawley. Similar courses direct from the NSPCC can cost in excess of £200 but are now to be offered by BBE starting from £20 for the launch event. Tickets are available at: https://www.bbe.org.uk/events. Future dates will be announced in due course. We at BBE think this situation is unacceptable for bands and needs to change. For this reason we are working with our partners in the Music Education Council to effect the changes needed at Government level. The issue has thus far been taken to the Department for Education, with the ultimate aim of securing an exemption for amateur music due to its educational purpose, but with an aim to continue to ensure that brass bands are a safe place for children to spend their leisure time. Through the Music Education Council CPL working group, we have so far received written responses to questions from the minister responsible. However, we are awaiting clarification on some of the responses. We are also pursuing a question in Parliament to address the issue, as well as legal advice on the implementation of the 2014 regulations in relation to the 1963 primary legislation. • Lower the administrative burden on bands to comply with the legislation. • Ensure that the arts and sport receive parity of treatment. • Ensure that sufficient checks are made on organisations to create a safe space in banding for children to learn and develop. • Develop a national policy to remove variation between neighbouring local authorities. We believe that this call has found sympathetic ears, but at this point it appears that changes will not come anytime soon due to an under-resourced and distracted Civil Service, with most of the Government’s time taken up with Brexit. We will continue our campaign and there will most likely be future calls to action for the banding world to join voices with the many other musical organisations and ask for change, so watch this space! In the meantime there are some practical things that band members can do, including young people themselves, and that is to write to your MP directly to highlight this issue. You can find your MP online by going to https://www.parliament.uk/get-involved/contact-your-mp/ by contacting them you will begin to raise the issue so that as momentum builds they will be more informed. Ultimately we can only recommend that bands comply with the law and don’t risk a fine or imprisonment. Talk to your local council directly about its requirements for licenses. We can point bands in the direction of best practice guidance resources to help you plan what you need to do. Finally, whilst this legislation is flawed on a practical level, the ideas behind it represent something we all want in banding - a safe place for children and young people to come to learn music, so together lets go forward an ensure we keep our youngest members safe via good practice safeguarding.